The Explore Oregon Golf Passport is a program that allows golfers to play an 18-hole round (with cart included) at participating golf courses across the region for a fee of $30 or less. 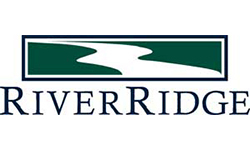 RiverRidge is one of 11 participating golf courses in the Mid-Valley area. The Passport rate at RiverRidge is $28 for 18-holes (with a cart) and can be used one time during 2018. Brief Description: RiverRidge GC is landscaped to complement its natural surroundings. The design puts an emphasis on short game and course management to score without burdening the high handicapper with unnecessary length and forced carries. Driving Directions: Take Beltline West exit off I-5 and then proceed to Delta Hwy exit(Delta North). Travel 1 3/4 miles on Delta to golf course.